WATCH: New Game of Thrones Season 6 Trailer - The Dead Are Coming | Nerd Much? Let’s all just take a couple minutes off from the real world to watch this absolutely glorious new Game of Thrones Season 6 trailer, and let’s celebrate the fact that the return is incredibly soon. This brand new trailer gives us a lot to be excited about. First, Davos saying “the dead ARE coming,” a notable play on the “winter is coming” tagline that has been prominent in the show’s marketing and among fans. 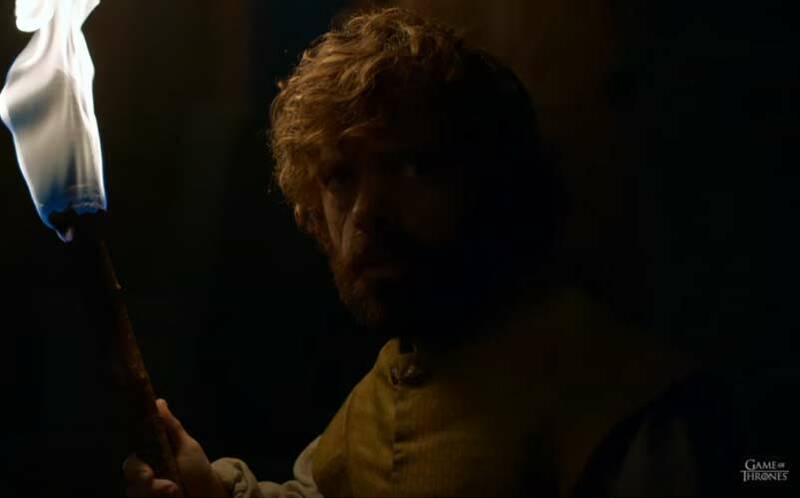 Secondly, how about Tyrion alone in the depths with Daenerys’s dragons? Awesome. And thirdly, it looks like Sansa is out for revenge, and let’s all pray to the gods that she gets her much-deserved revenge. There’s going to be a lot to sort out in Season 6, and hopefully we get some of the answers we’re looking for. But, if this trailer doesn’t give you chills, we simply can’t be friends. The Game of Thrones season 6 premiere is set for April 24, and we’ll certainly be glued to HBO for that night, as well as for the After the Thrones post-show. For now, you can catch up with everything you missed in the offseason with our round-up of everything we know about Season 6. Game of Thrones: Who Would You Choose to Fight For You In Trial By Combat?